Steven D. Grossman has extensive experience litigating business, insurance, civil rights and employment law matters. Among the many types of cases Steve handles are insurance coverage disputes, business disputes, creditors' rights, fraud, contract, eminent domain/takings, civil rights, probate, restrictive covenant, and employment and unfair competition matters. Steve enjoys these practice areas because they are challenging and require him to always be at the top of his game. Early in his career, Steve had the good fortune to be mentored by attorneys he describes as exemplars of ethics and hard work. He continues to identify strong ethics and the willingness to work hard on behalf of clients as the hallmarks of a good attorney. Colleagues have recognized Steve for this, and he has received an AV Peer Rating from Martindale-Hubbell; this rating indicates the highest peer evaluation of legal ability and professional ethics. Steve's clients include businesses and corporations of all sizes, state and federal financial institutions, as well as individuals in need of sophisticated representation. His clients value his unstinting efforts on their behalf, as well as his honest and ethical assessment of their legal matters. 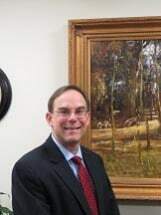 Steve's work encompasses both jury and non-jury matters at the trial and appellate levels, and arbitrations before the American Arbitration Association and other arbitration venues. Representative of Steve's cases are his work on behalf of a New Jersey State jurist in disciplinary proceedings that culminated in a reported decision of the New Jersey Supreme Court: In re Subryan, 187 N.J. 139 (2006), and work for a contractor successfully proving on summary judgment (affirmed at the Third Circuit) a secondary boycott claim against a union: U.S. Information Systems, Inc. v. IBEW Local 164, 2010 WL 1879275 (D.N.J. May 10, 2010). In B.S. and N.B., o/b/o H.K. v. Noor-Ul-Iman School, A-4905-13T2 (Aug. 5, 2016), Steven represented a private school defending its right to discipline a student in accordance with its own policies and procedures. When not practicing law, Steve enjoys exercising and coin and currency collecting. He resides in Union County, New Jersey, with his wife, also an attorney. They have adult twin daughters.